It’s a new age of smartphones, social networks and digital interconnectedness. But home security threats are often the old-fashioned kind — a door that is jimmied open or window that was left unlocked. Each year in the U.S., there are 2.9 million burglaries. The majority of these crimes, 74%, occur at residential properties. Luckily, there is a growing number of home security products that can digitally connect us to our houses through our smartphones. No longer is it necessary to hire a home security company. Technology has enabled us to each keep tabs on our homes with just a few taps on a cell phone and real-time notifications. In this changing environment of home security, it’s important to consider the new features that are available and how these products and services fit into the overall market. Remote Monitoring: You can now use your smartphone to check on things at your house while you are away. After installing a network of motion sensors and security cameras in your home, a phone app is all you need to remotely monitor any activity. Not only can this technology be used to protect your home from theft, but water and environmental sensors can also protect your home from unexpected threats. For example, the strategic installation of water sensors under sinks or in basements increases the odds that you’ll never again come home to a flood from a burst pipe. Real-Time Notifications: When it comes to home security, time is critical. Just as you get instant notification on your phone about messages and apps, you need to know immediately if there is an emergency at home that needs your attention. Because of immediate alerts and quick action, authorities now have the potential to catch a thief while he or she is still in your house. Additionally, real-time notifications have uses beyond protecting your home from criminal threats. In addition to protecting against criminals, door sensors can be used to notify you when your child gets home from school or when your repairman actually shows up. 911 and Emergency Services: The majority of Americans, 50.8%, have cut the cord on their landlines and are only using cell phones. However, this streamlining of services has an unfortunate side effect. It means they are losing access to important emergency services. Many municipalities do not yet have the capability to accurately geolocate emergency calls placed from a cell phone. Because access to emergency services is a critical component to protecting your home, some systems like Ooma are automatically relaying home address information to dispatchers, even when calling 911 from a cell phone, thereby saving valuable response time. The failure rates of 911 dispatchers to accurately locate a cell phone caller are as high as 90% in Washington, D.C. The failure rate is 71% in Virginia, 67% in Texas and 63% in California. The failure rate in Colorado is 42%. With failure rates so high, personal safety should not be dependent on a system that is so ill-equipped at locating people, and many people are looking at services like Ooma’s e-911 to ensure their safety. Input Capacity: In a home security system, the diversity of inputs enables you to build a comprehensive security solution. From motion sensors on your doors to security cameras pointing toward your front walkway, it’s important to select a system that can accommodate the number of sensors you need for your home as well as several types of inputs. Before purchasing your home security system, take an assessment of your home and consider the vulnerable points you would like to protect. Using this knowledge, your equipment purchases can be made to accommodate your customized security design. Ease of Installation: Wireless changed everything. No longer do security cameras and sensors need to be hardwired into your security system. Now the sensors are digitally paired through Bluetooth or networked through Wi-Fi to give you complete home coverage. And each of the sensors has versatile mounting systems so no matter where you’re placing the sensor, it will be easy to install. This means that where you place security sensors can be completely determined based on risk areas rather than how difficult it is to do the wiring or the mounting is. And for those who are renting, this easy installation now makes your home security system a portable solution. Notably, each of Ooma’s home security sensors are efficiently powered with a battery. Rather than some systems that are power drains and require regular battery changing, Ooma’s battery will last 1.5 to 2 years. Not only does this reduce any system maintenance, but you can check the status of the battery through the app so you can do your home security upkeep while you’re in line at the store or lounging on the couch. Smart-home devices saw a 64% sales increase in 2016. While there are currently 90 million smart-home households, this is expected to grow to 463 million by 2021. Just as the current trend is to incorporate more smart integrations into our homes, there is also an abundance of smart devices for home security. We are seeing smart locks that can open the front door with a fingerprint, a mobile app or Bluetooth. There are also smart doorbells that let you remotely view who is at your front door via a smartphone app and even spoof them into thinking you’re home by communication through an indoor speaker. The two big players in the smart-home hub market are Amazon’s Echo and Google Home. Each integrates with many home security devices. 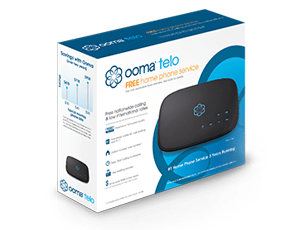 Amazon Echo integrates with Ooma Telo. In addition to being able to call non-Alexa users using Echo Connect, the integration gives you access to Ooma’s network of security sensors and Ooma’s Remote 911™ dialing so you will always be put in contact with your local emergency services. However, using only Amazon’s service does not give you access to 911. Founded in 2004, Ooma’s smart platform serves as a communications hub that offers cloud-based telephony and other connected services. Ooma combines PureVoice HD call quality and innovative features with mobile applications for reliable anytime, anywhere calling. Ooma Home Security is a comprehensive do-it-yourself home monitoring solution that alerts users of events within their homes. 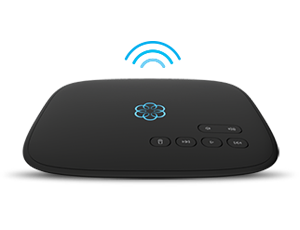 Designed to work with the Ooma smart home phone service – the Ooma Telo – the system includes motion, water, door and window sensors in addition to the unique ability to remotely place a local 911 call from the home, thus providing all-encompassing protection and peace of mind for consumers. The company has been ranked the No. 1 home phone service for overall satisfaction and value for five consecutive years by the leading consumer research publication. Ooma is also partnering with connected device makers to create smarter offices and homes. Ooma is available in stores and online from leading retailers. For more information about Ooma, please visit www.ooma.com.